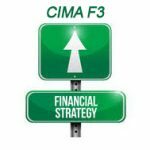 Sunil has previously been a marker for CIMA P9(now F3) and ACCA P4 (now AFM). In addition, Sunil writes articles relating to ACCA FM and AFM which are regularly published in the accountancy training press. Sunil is very happily married to his wife Rita, who is a teacher for the Art of Living Foundation, based in Bangalore and both his children are qualified accountants. As Sunil regularly mentions in his lectures, his love for his wife and children are only matched (and occasionally surpassed!) by his undying support for Manchester United, for which he holds a well used season ticket. For Sunil Bhandari’s latest pass rates, please click here. For a summary Sunil’s ACCA AFM courses, please click here. For a summary of Sunil’s ACCA FM courses, please click here.